SUPERFLEX CABLE JOINTING SYSTEM PX160 is used in cable jointing as well as a general mould making material with long working time. PX160 is a flexible flame-retardant PU system (FV0 tested by SABS). Very low water sensitivity during processing. 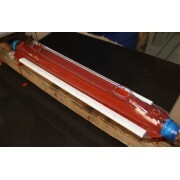 PX160 is used to make moulds of detailed ma..